Cliff Mass of the University of Washington has a good breakdown of the “failure” of meteorologists to correctly predict snowfall during this week’s storm. “Failure” gets the scare-quote treatment because the forecast wasn’t actually far off: models showed most of the snow falling in a relatively narrow band on the west side of the storm system, which is exactly what happened. The placement of that snow band, however, was uncertain–depending on which of the several major weather models you looked at, it fell somewhere between New Jersey and Cape Cod. Small differences in the storm’s track would mean large differences in snow over NYC. That uncertainty was understood and acknowledged by NOAA and the National Weather Service. This graph hoisted from Mass’s blog post shows snow accumulation from Monday through Thursday, as predicted by a group of models (one line per forecast). Each model was started with slightly different initial conditions, or subtly different representations for how the atmosphere works. This is what atmospheric scientists cal an ensemble, and it gives a sense of the uncertainty in NYC’s forecast: the forecast accumulation varied from about 6 inches at the low end to almost 40 inches at the top. For a variety of reasons, the reported forecasts skewed high. The NWS doesn’t do the best job it could communicating the uncertainty. TV news, all else equal, would rather have you freaked out and glued to your screen watching their parka-clad weatherman, and they report the forecast accordingly. I suspect a lot of it is just due to the fact that we aren’t that good at dealing with uncertainty. And, of course, a lot of that “failure” can be traced to a certain attitude that mistakes a certain eight-mile island for the majority of the civilized universe. Out here in Suffolk County, the forecast was more or less right on, and we got hammered. The highest snowfalls in the state were at Orient Point, the tip of Long Island’s North Fork. There were no humans there to measure, but I suspect they were probably even higher at Great Gull Island. The movie is called Troll Hunter. I’d seen this movie a few years ago, but re-watched it this weekend and remembered how much I like it. It’s a found-footage Scenario. Thomas, Johanna, and Kalle are three Norwegian college students attempting to film a documentary about a man they think is a bear poacher. When they follow him into the woods, however, they discover that he is after much bigger game. Trolls. Hans, the troll hunter, is not any kind of mythic hero. He is a long-time employee of the Norwegian Wildlife Board, working in a secret office called the TSS (Troll Security Service). When trolls break out of their territories and come too close to livestock or people, he has to trap or kill them. The usual weapons are powerful ultraviolet flash bulbs (trolls, of course, turn to stone in daylight). Hans is sick of it. The hours are terrible, the work is dangerous, and he doesn’t even get overtime. 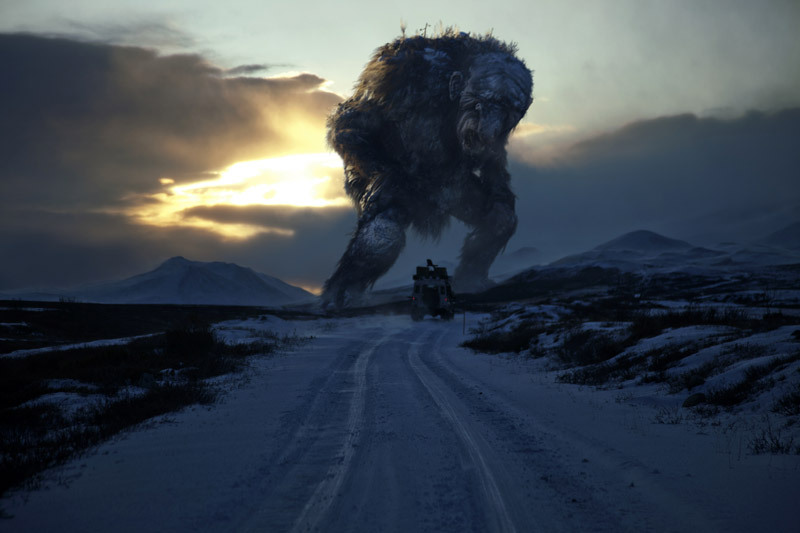 Troll Hunter is alternately beautiful, scary, and bone-dry hilarious. Many of the jokes will be especially appreciated by anyone familiar with wildlife or fisheries management. Hans, and a sympathetic veterinarian named Hilde, explain troll biology and ecology with impossibly straight faces. Like many other large predators, trolls have a long lifespan and very low fecundity. Like many people who study large predators, Hans and Hilde argue passionately that the creatures are misunderstood. Human activity, and possibly climate change, are causing unpredictable changes in troll behavior. Conflicting demands by the public and different government offices make rational troll management nearly impossible. Troll Hunter is on Netflix. I highly recommend it. Grad school is a job. A conversation on Twitter tonight got me worked up about this point, but I’ve heard it questioned a number of times in my five years in postgraduate education. And it seems that each time I’ve heard it questioned, it has irked me just a little more. Grad school in the sciences is a complicated transaction. You are given free access to the highest levels of academic education. You have the freedom to think freely and develop your ideas into original, often thrilling, research. You develop deep intellectual and personal bonds with your peers and mentors. You also work long hours doing highly skilled technical work for near-poverty wages, put your mental health at risk, expose yourself to personal disasters, and graduate trained for a job that may not even be there. Grad school is not like a “normal” job. In theory, it is only part-time; a temporary training post or apprenticeship for better things later. But if you are being payed money and given health insurance, if you are required to perform certain work, and this arrangement lasts for somewhere between four years and a decade…I have news for you. You have a job. Well, that’s how Troy McClure might say it. On Twitter this morning, Andrew Thaler drew my attention to a new publication by Natasha Gallo et al. 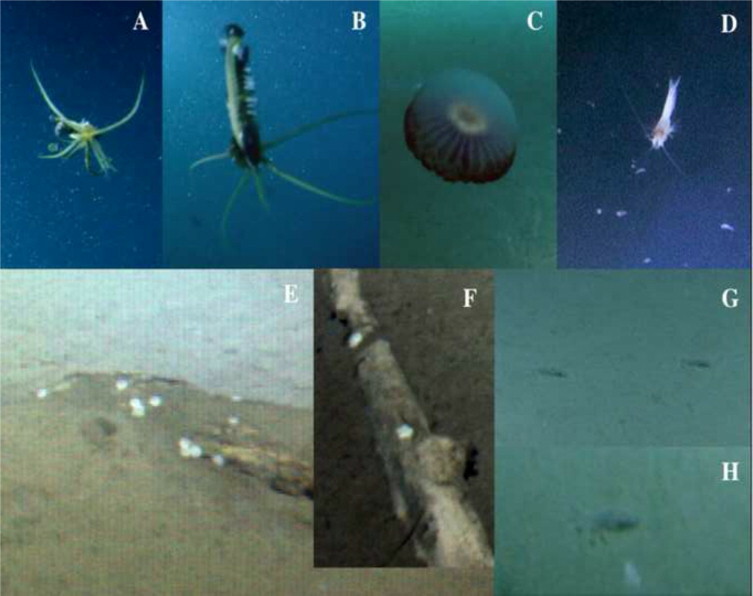 in Deep Sea Research I, on biodiversity in several of the worlds deepest ocean trenches. The paper is notable for its sampling locations, its observations of novel species, and for its second author. That would be James Cameron, filmmaker and now ocean explorer. I wrote, somewhat skeptically, about Cameron’s Deepsea Challenger expedition back in 2012. I’m now prepared to eat a few of those words. It’s great to see some of the results from that expedition showing up in the scientific literature, and that Cameron has apparently remained involved in the analysis and writing-up of those results after he got back to land. However, a larger point still stands. I think it is admirable that Cameron is spending his $900 million net worth on research submersibles rather than gold-plated jet skis or something. But in the long run, well-intentioned billionaires are not a substitute for an equitable society with strong support for science as a public institution. As a side note, Deepsea Challenger failed to beat the depth record set by the Trieste in 1960. By three meters—10,908 to 10,911. Call it a gentle karmic rebuke. Ah, Christmas eve. A magical day when we reflect on the deep questions. Is there anything more valuable than family togetherness? What is the true meaning of the season? Who is that strange man breaking into my house at 2:00 in the morning? In an effort to answer at least one of these, I have prepared a short white paper on the problem of identifying Santa, from a Bayesian perspective. In particular, I take as my inspiration the song Must be Santa, performed in its perhaps definitive form by Bob Dylan on his album Christmas in the Heart (2009). For those interested, I have made the paper and the code used to perform the analysis available in a GitHub repository. The paper, in PDF form, may be downloaded here. I learned a new word this week: полярник, polyarnik, which is Russian and translates roughly as “polar explorer.” This word, along with another set of interesting thoughts on dedication to science and the polar regions, comes from a beautiful photo essay in the New Yorker. 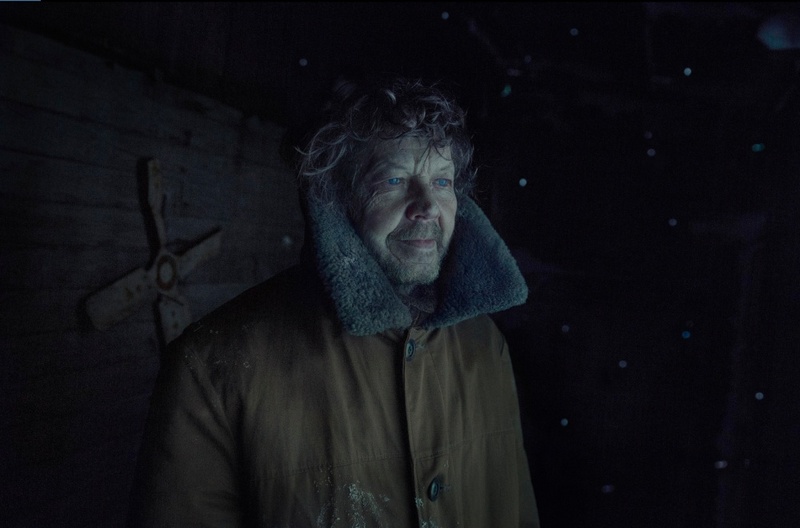 In it, photographer Evgenia Arbugaeva shows us a glimpse of the life of Vyacheslav Korotki, a Russian meteorologist and polyarnik, whose job is to live, alone, for long stretches, on the shores of the Barents Sea, recording weather observations and relaying them to Moscow via a set of Soviet-era radios. If this is not dedication to science, I’m not sure what qualifies. Go check out all the photos. I am currently experiencing mild-to-moderate Antarctica envy. In addition to the continuing STRES cruise, some friends from the Lynch Lab are on their way south as well, to study various aspects of Pygoscelis penguin populations. So last night I watched Werner Herzog’s 2007 documentary, Encounters at the End of the World. I hadn’t seen it before, but I loved it—for the beautiful images, and for the way he managed to capture the texture of field work and the personalities of the staff and scientists at McMurdo Station and the various field camps. And, of course for Herzog’s trademark existential weirdness. At the beginning of the film, he says, “The National Science Foundation had invited me to Antarctica even though I left no doubt that I would not come up with another film about penguins.” He does not. Highly recommended. Sunrise at midnight in Wilhelmina Bay. Photo by Michelle Denis (I think). Speaking of end-of-semester stress…there happens to a better kind going on right now, as well: the Seasonal Trophic Roles of Euphausia superba (S.T.R.E.S) Cruise. My lab’s Fearless Leader is currently aboard the R/V Nathaniel B. Palmer in Antarctica, on a cruise studying the trophic ecology of our planet’s most biomassive animal species, the Antarctic krill Euphausia superba. 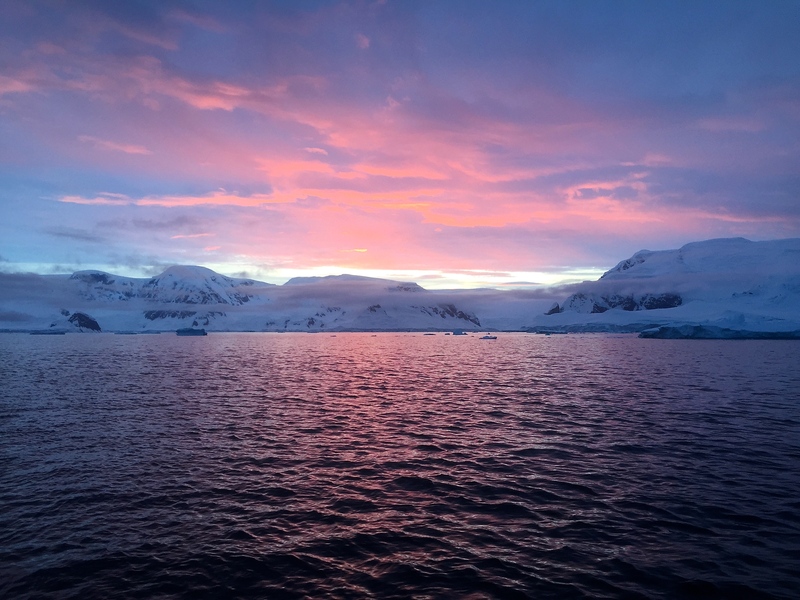 Alison Cleary, a PhD candidate from the University of Rhode Island, has been blogging updates from the cruise–you can follow along at the Krill Cruise blog here. 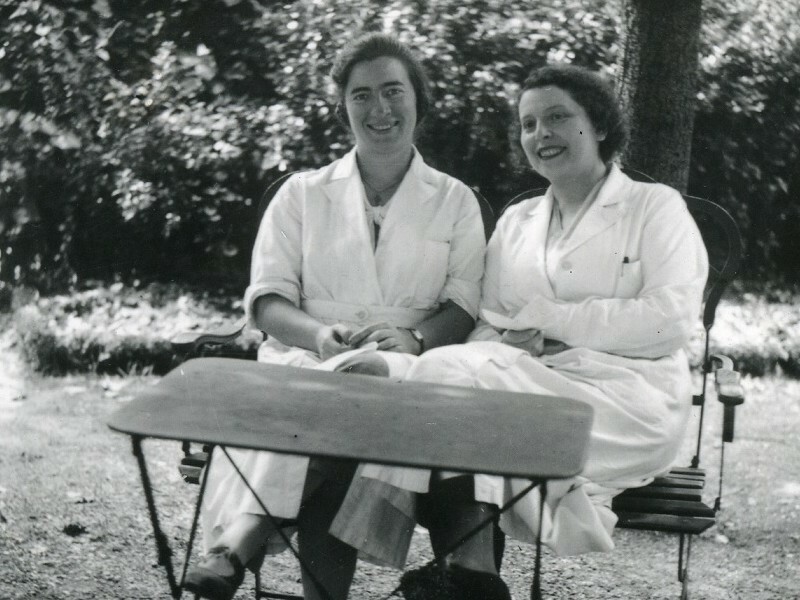 Marguerite Perey (left) and Sonia Cotelle, who worked in the Curies’ lab and both died from the effects of radiation exposure. Image from the Musee Curie. Last week, the New York Times Magazine published a show-stopping piece by Veronique Greenwood about her great-great aunt, Marguerite Perey. Perey worked in the Paris lab of M. and Mme. Curie, where she discovered the element now known as Francium. It was also where a lax culture of safety, and abundant ionizing radiation, gave her the bone cancer that would kill her. Several potent accounts come from Elizabeth Rona, a chemist who worked in various European radioactivity labs. She wrote of a lab assistant, Catherine Chamie, who transported radioactive sources to and from a safe each day on a cart, shielded poorly by lead bricks; Chamie later died from exposure….Rona records a litany of radioactivity researchers who followed Chamie, their lungs, hands and bones falling apart. The thumbs, forefingers and ring fingers of their left hands were especially prone to damage, because of the way they were exposed to the radioactive substances they poured from flask to flask without gloves.